GRAFENWOEHR, Germany — The Army & Air Force Exchange Service is celebrating the resilience of military children with a collectible military brat patch in honor of the Month of the Military Child. 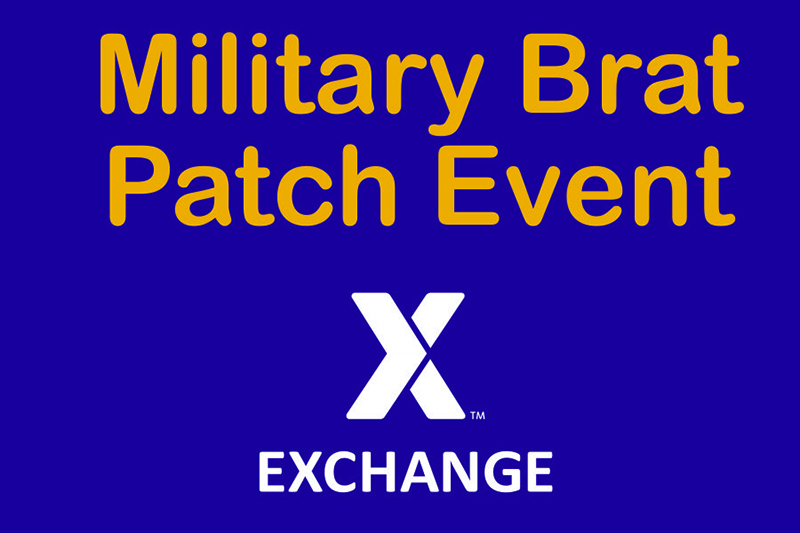 The Exchange has again partnered with Vanguard to create a limited-edition military brat patch to honor the fearlessness of military children. The collectible iron-on patches will be available for free at the Tower Barracks Main Store on April 6 from 11 a.m. to 1 p.m. at the entrance to the main store. Military children 18 and younger can pick up their patches while supplies last with a limit of one patch per child. The event is one of several being held by the Exchange for Month of the Military Child, an annual celebration that honors the resiliency and sacrifices of military children. On April 13, participating Exchange restaurants will Purple Up for Military Kids, offering a free side item, fountain drink or dessert for children 18 and younger wearing purple. For more information, call the Main Store Exchange at 09641-9363221. Families can learn more about the Month of the Military Child and upcoming events on the Exchange’s Hub page.